The ongoing Santa Fe has been around since 2012 so it is not all that old. In the meantime the car received several updates from Hyundai which allowed it to stay at the top of its class. However, it seems that the Korean manufacturer is readying an all new version already. 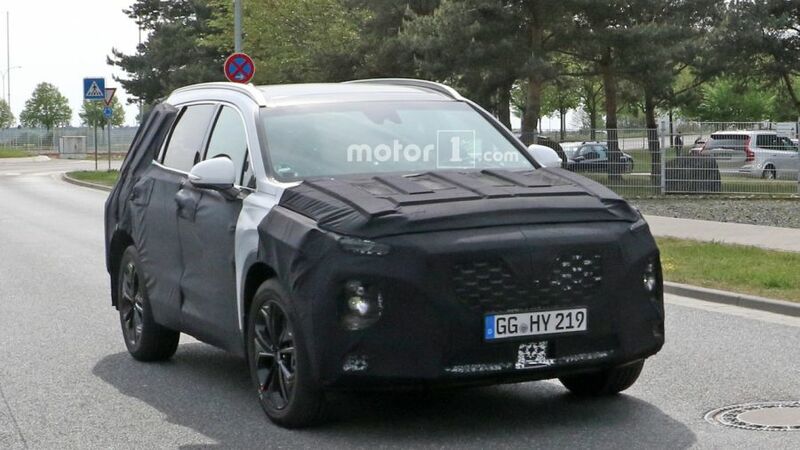 The update will likely be released with the 2019 Hyundai Santa Fe while its prototype has already been spied wearing heavy camouflage. 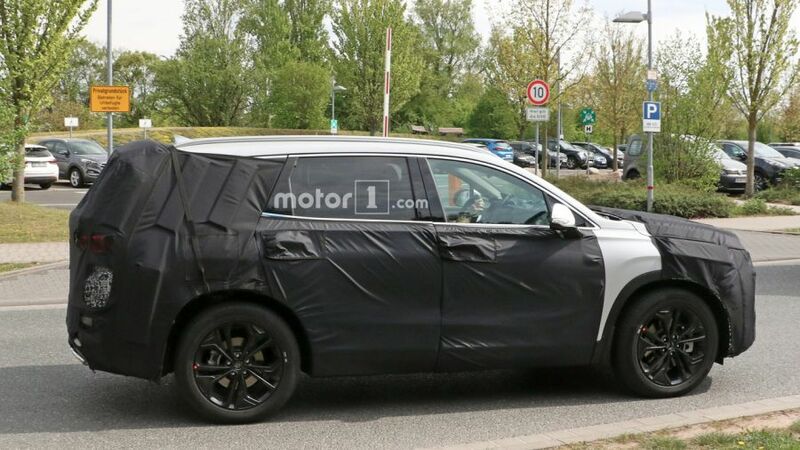 So far it seems the car will receive an all new design and more than likely a brand new interior. 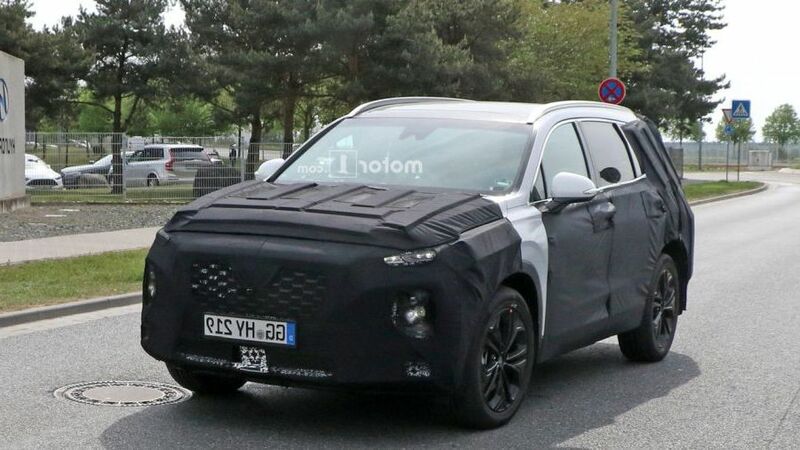 While not official, the new Santa Fe could also receive a brand new platform. Rumors about this have been floating for a while but nothing was official. However, the model spied not that long ago was definitely different. 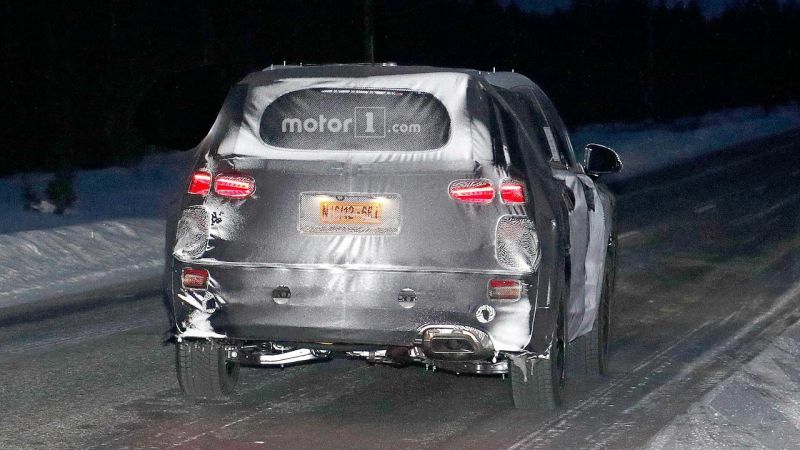 It was both wider and longer than the Santa Fe. 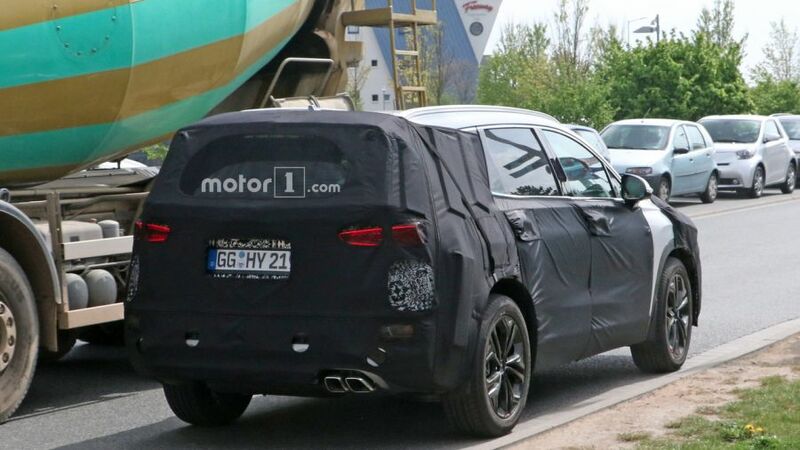 The car also seems to boast a longer wheelbase which would be possible with the rumored new platform. 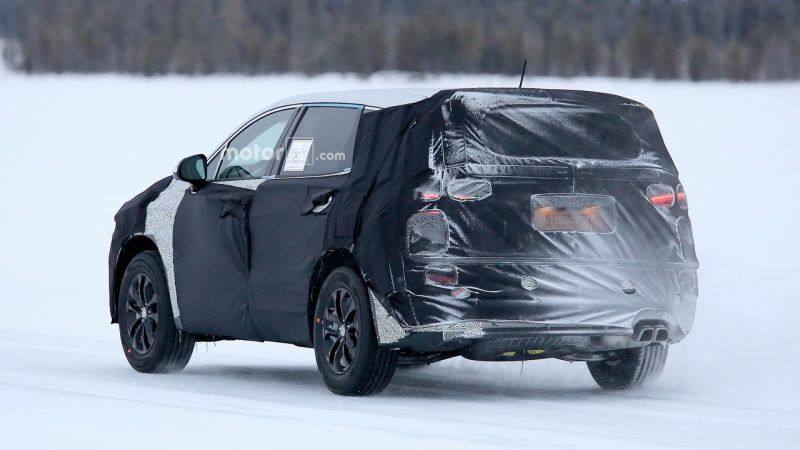 The car is likely going to remain a front wheel drive model and it will still be offered in two different versions. 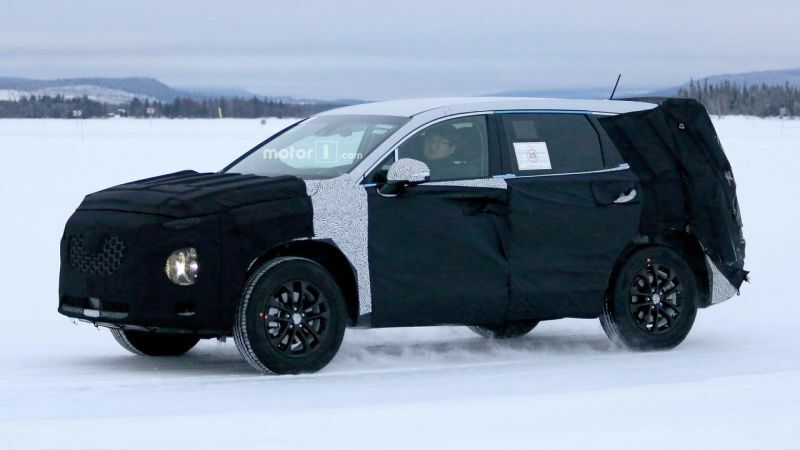 The Sport model will be the 5-seats model with the regular Santa Fe offering up to 7-seats. A luxurious 4-seats model has also been rumored but nothing has been confirmed so far. The price won’t change much, but more on that later in article. 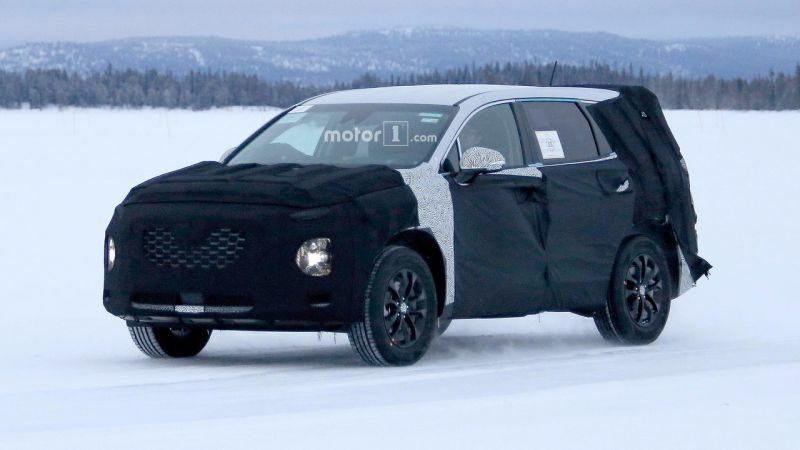 Quite a bit will change with the way the 2019 Hyundai Santa Fe looks. The camouflaged model seemed to be more aggressive and it definitely had a more muscular design. 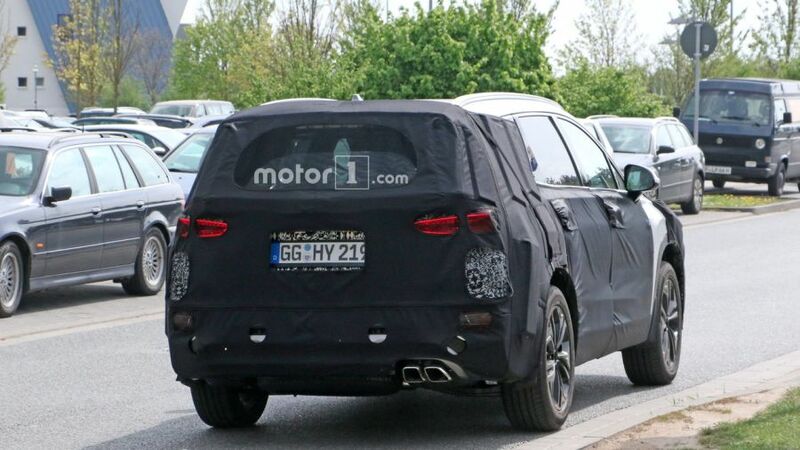 Through the camouflage we can see the sculpted wheel arches and the abrupt front end. In the front the car boasts a Sonata-like grille but that is the only similar feature. 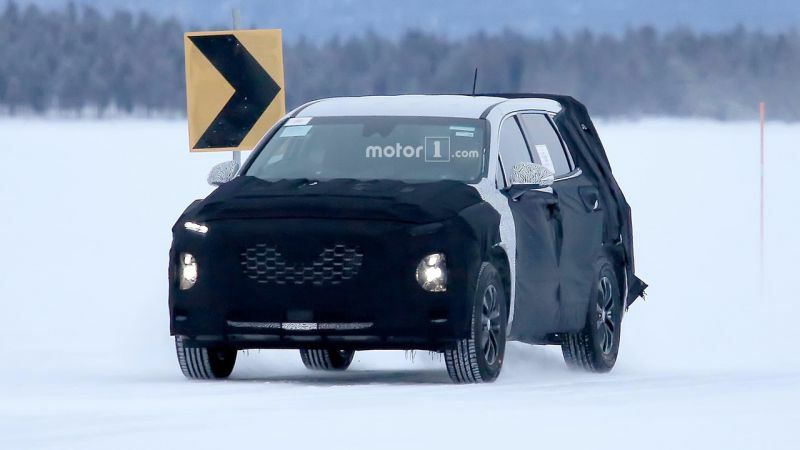 The headlights seem to be closer in looks to those found on the Kona concept. The Santa Fe sports a split-headlights design with the DRLs on top while the main beams are the large round lights right under the DRLs. 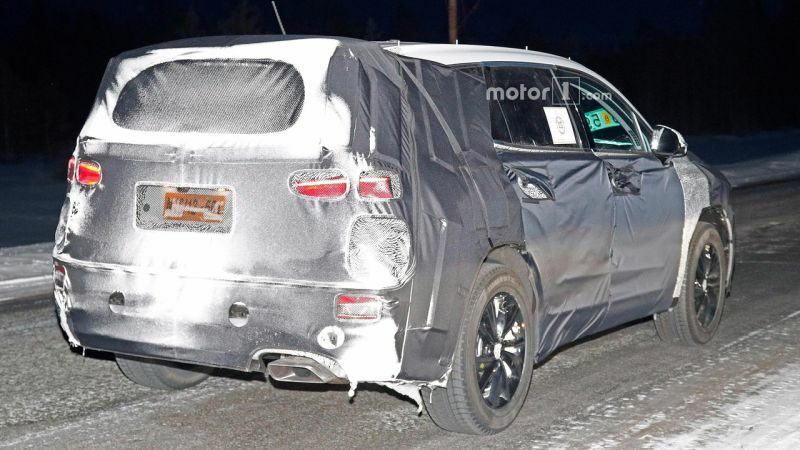 The bumper seems to boast a small splitter while in the back it seems to have a raked window which suggests at a sportier design. The current model was fine here as well but it didn’t excel at anything. 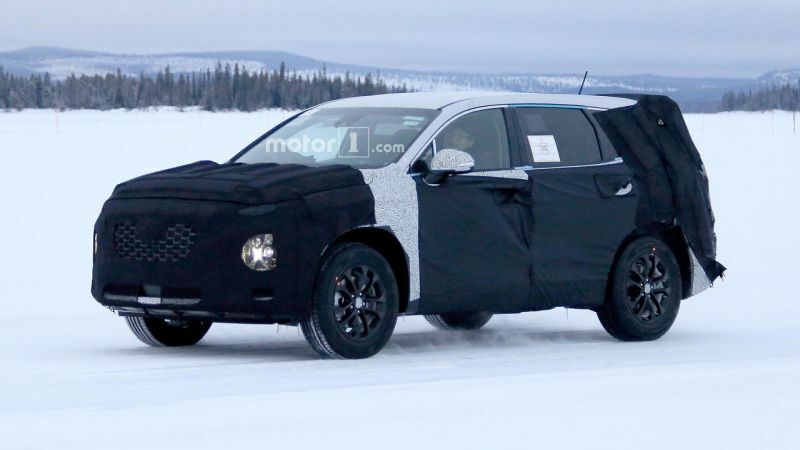 This is going to change with the 2019 Hyundai Santa Fe. 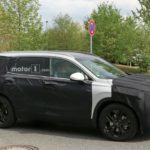 The car is going to receive a more modern cabin which will have to rival its German competitors. The sculpted dashboard currently found on the 2018 Sonata might be slightly tweaked to fit the new Santa Fe. This would give it what it needs to succeed. 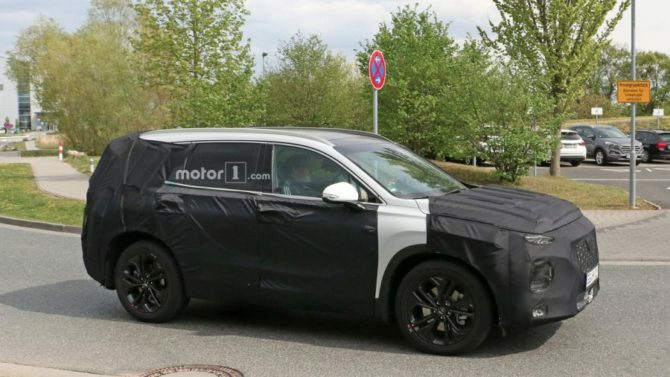 On top of that there is going to be more room for both the front and rear passengers as well as the third row passengers. The latter will finally benefit from just as much room as the 2nd row passengers. 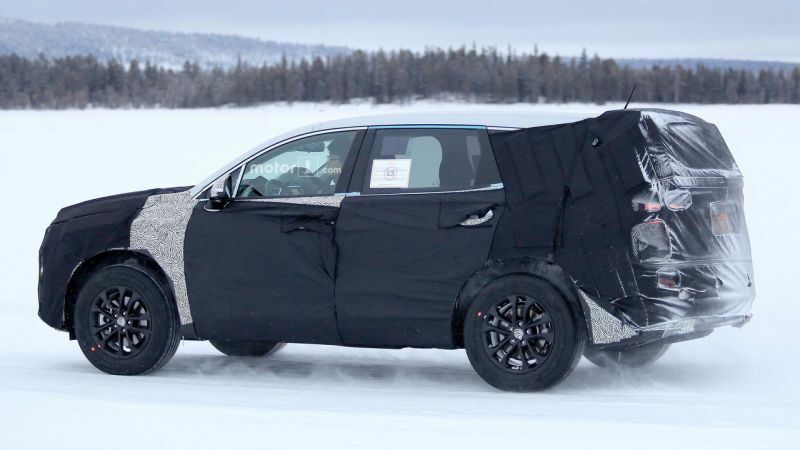 The materials will also be improved by a good margin while things like ventilated middle seats might become available on the higher end models. 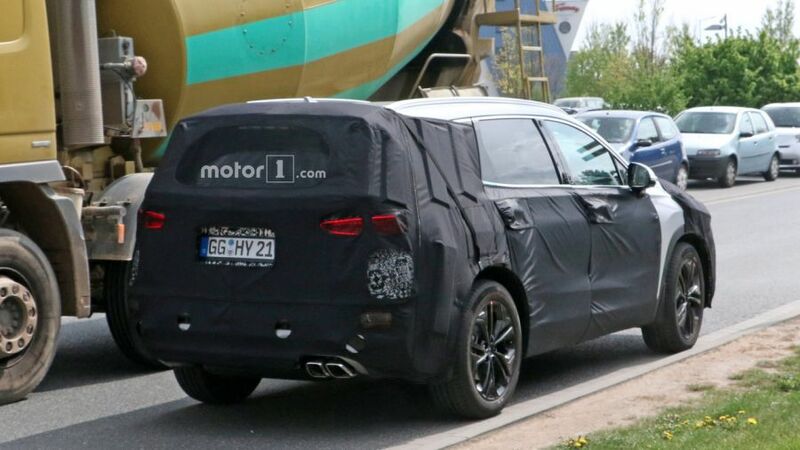 The current Santa Fe is only available with a V6 engine and it seems this may change. This engine is not that efficient or powerful enough for the current market. 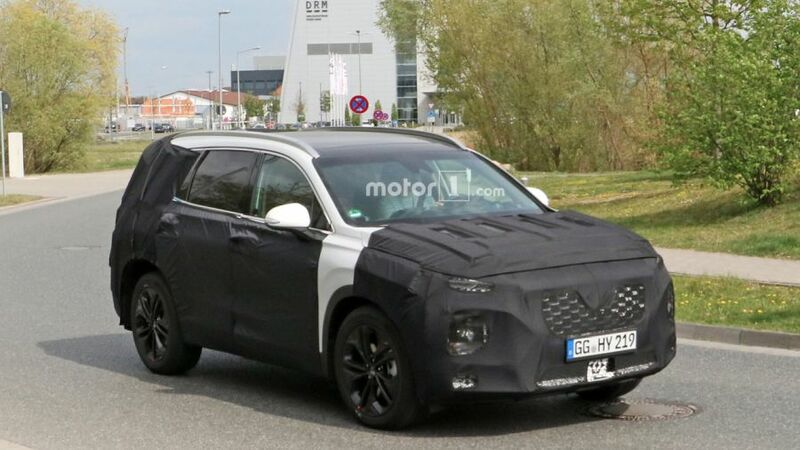 In its place, or alongside it, Hyundai may start to offer a turbocharged 2.0 liter engine with north of 270 horsepower and 290 lb-ft of torque. With more torque than the V6 and slightly more power the new turbocharged mill would provide better performance and fuel economy. 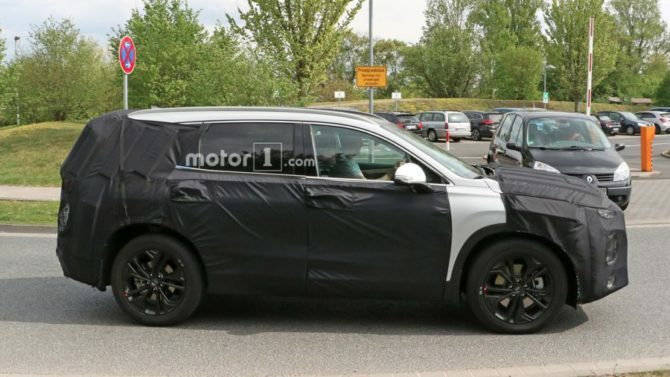 The 6 speed automatic is also likely going to be replaced by either an 8 speed unit or a 9 speed one. 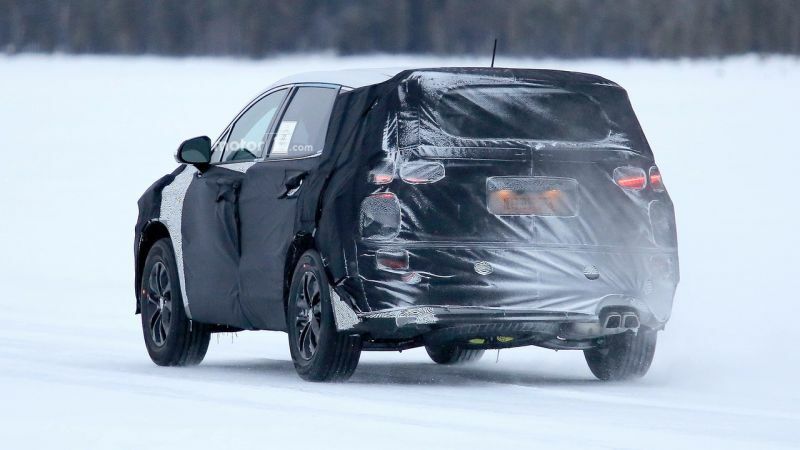 Front wheel drive will still be offered on the base models with all the others receiving all wheel drive. 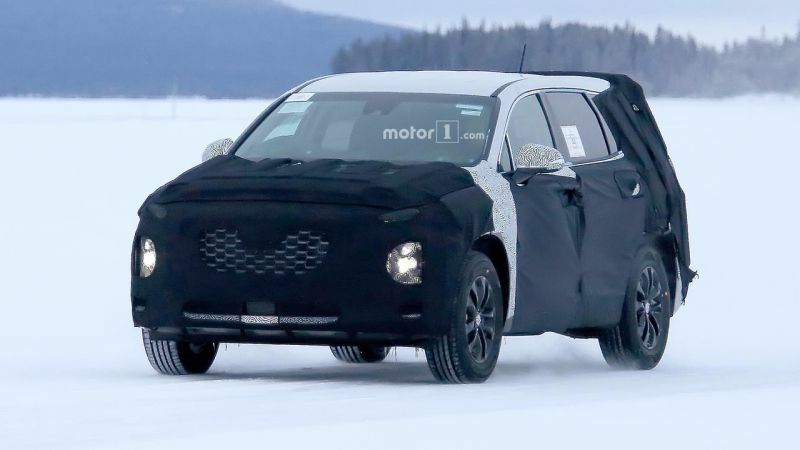 Like it was the case with previous generations of Santa Fe ( both were replaced after six years) this one is due to enter into the new age in 2018. 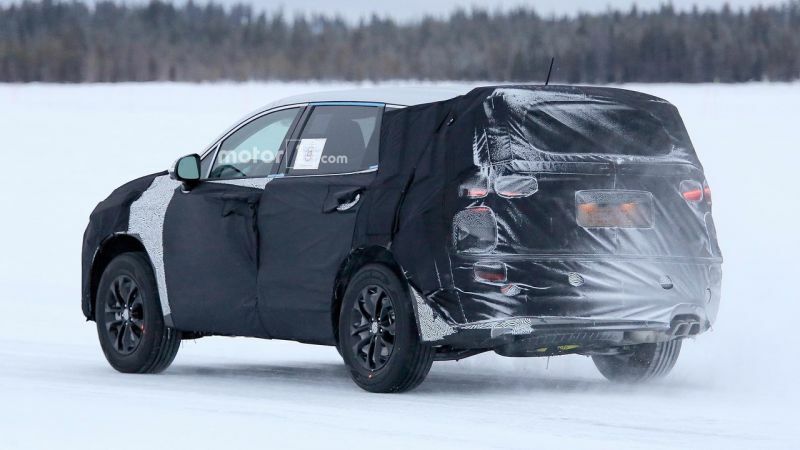 It will be marketed as 2019 MY, but at this moment we can’t predict when exactly will it hit the streets. 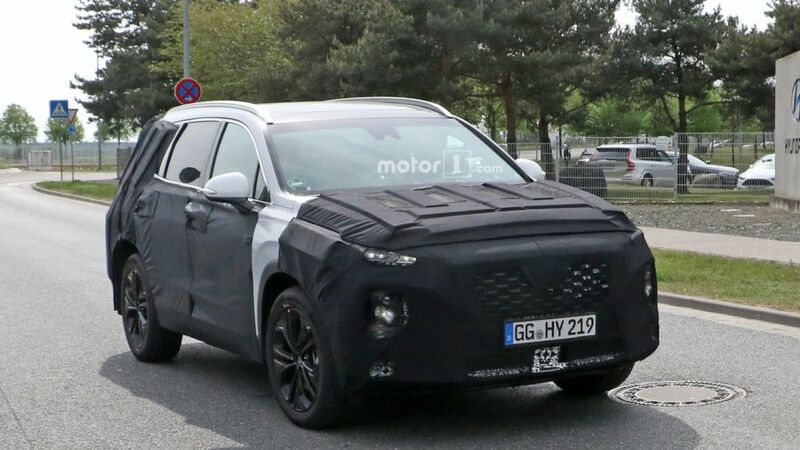 The prototype which was spotted is heavy camouflaged, but it most likely hides an almost completed version of new Santa Fe. 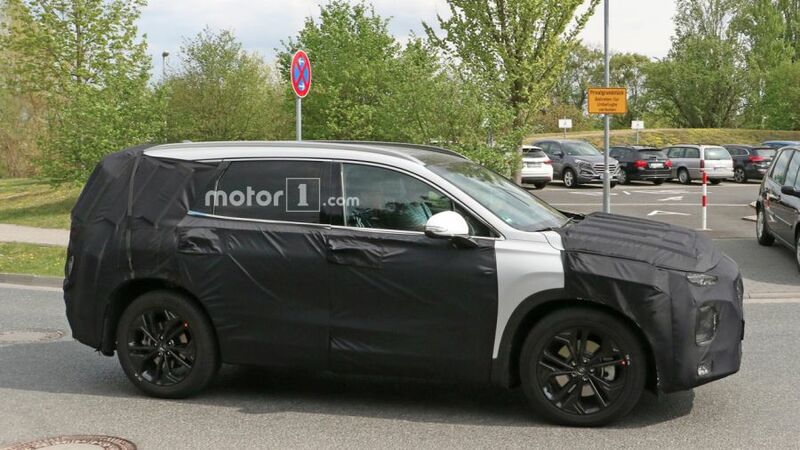 Currently, we believe that the vehicle in question is going to be shown at the beginning of next year. The sales would follow after, probably in spring or summer moths of 2018. 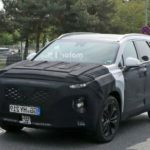 The new generation of Santa Fe SUV will bring a lot of changes and updates. 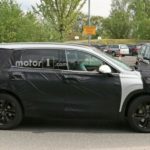 Those two things generally cost, so that’s why the price of this SUV will not remain identical to the current vehicle. The ongoing model starts at $30,800 for FWD version, while AWD starts at $32,500. Limited trim costs $34,950 (FWD) or $36,700 (AWD); SE Ultimate is $38,000 for FWD and $40,450 for AWD; lastly the Limited Ultimate starts at $39,400 for FWD and $44,150 for AWD. 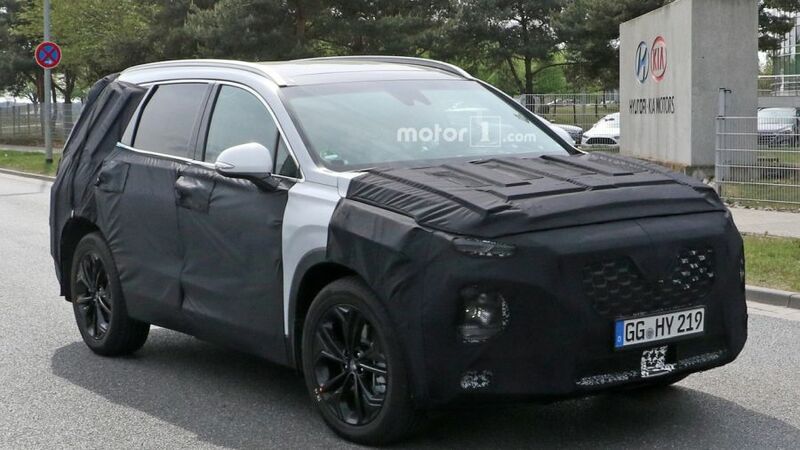 For 2019 Hyundai Santa Fe prices will go up but not in the same amount across trims. The base ones will be raised for about $500 while the top-tier version could cost around $1,000 more.